It is eight months into 2017 and the world has already experienced some of the most expensive and destructive natural disasters in recent history. Crisis-response organizations and government agencies have had more than their fair share to deal with this summer: the month-long monsoons blanketing South Asia--leaving nearly sixteen million people displaced and at least five-hundred killed; the shocking devastation left in the path of a mudslide off of Mount Sugar Loaf in Sierra Leone’s capital; incessant flooding in the American city of Houston spurred by Hurricane Harvey; and closer to home in Canada, one of the most destructive wildfire seasons in British Columbia. Certain sentiment has tied the power of such events to climate change and ill-prepared government agencies. Damage left in the path of the 2004 Tsunami in Aceh, Indonesia, which ultimately left an estimated 250,000 people dead, missing, or displaced. Photo: AusAID. Yet, beneath these discussions of government policies and entrenched environmental challenges, journalists and first-responders have revisited some other large questions surrounding disaster assistance and response: how do charities and first-responders use donated funds to rescue and provide relief to communities affected by natural disasters, and which organizations are more transparent about doing so? In the wake of crippling natural disasters events, familiar rallying cries call on the altruistic heartstrings of those not directly affected by such an event to donate money and indirectly assist ongoing rescue and relief efforts, while celebrities or reputable companies declare non-profits to which their fans or employees can donate in turn. Monetary donations are the lifeblood of any non-profit organization. 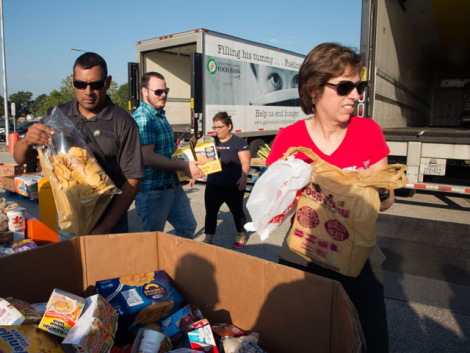 Indeed, fundraising and nonprofit public relations teams have rightly said that donating money is immensely more valuable than shipping materials to first-responders or aid workers in times of crisis. Fundraising and galvanizing such donations is paramount, but donors need to be aware of where their money is going and which organizations have come under strain for misusing funds and over-reporting activities. Often, such organizations carry a heavy reputation and brand that seemingly cloaks them in a veneer of transparency. In the last decade, organizations such as the American Red Cross have been profiled as misappropriating funds and failing to provide services that it said it would provide as a part of its global mission—especially over the last five years in Haiti following the 2010 earthquake. 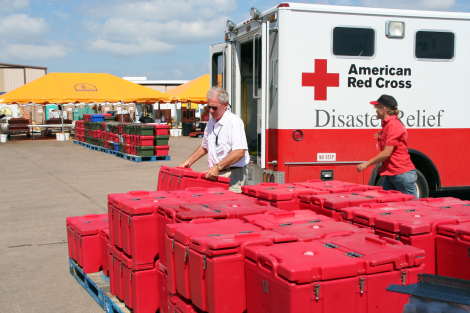 In light of these reports and activities, charity oversight groups have noted that supporting locally-based and highly-focused non-profits—such as food banks and youth centers—should be prioritized by donors, in lieu of large-scale non-profits like the American Red Cross that have strained operations and excessive budget lines. Even so, as the United States continues to deal with the aftermath of Hurricane Harvey, the American Red Cross has refused to identify how many donations go toward supporting relief and aid efforts of those affected by the storm. This cannot continue to be the norm. Over time, as major donor networks shift away from non-profits who are not holding up to transparency, the media and relevant stakeholders will have more leverage to bring the smeared charities to account for their activities in the eyes of the general public. Ensuring proper and vetted endorsement is a tangible good practice going forward. Technology firms Microsoft and Cisco continually match employee donations with controversial charities—the American Red Cross notwithstanding. With such large professional networks, these private sector companies can push donors away from supporting questionable and ineffective charitable activities. Private foundations and corporate leaders need to support the work of effective non-profits and local responders and in so doing, shy away from their status-quo behavior of endorsing the same opaque charities when natural disasters occur. The rallying cries borne out of celebrities or chic corporate CEOs can be properly and effectively made, so long as those cries are well-grounded. Natural disasters will continue to happen. Non-profits and first-responders will continue to need access to more funds to respond to these disasters and effectively rescue communities. With focused oversight, increased criticality on part of donor networks, and more support for long-term investigations into large-scale non-profit operations, donors can make sure that their money goes to the most integral institutions and sustainable responders in the field. Mitch Hulse is a student in the MPPGA Program at UBC focusing on international development policy, information communication technology, and principles for sustainable economic development.